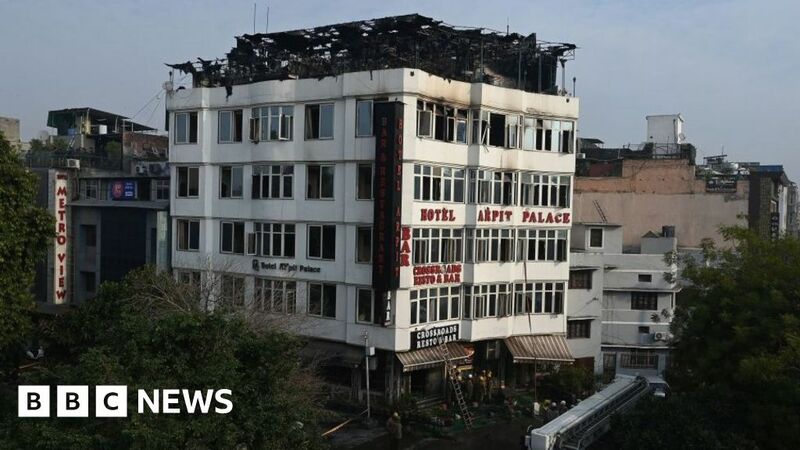 At least 17 people are killed in a fire at a hotel in Delhi, India. People were filmed jumping from the fourth floor of Hotel Arpit Palace in India's capital, Delhi. 2017-11-7 A blanket of thick grey smog covers the Indian capital, Delhi, with some areas 30 times more polluted than the World Health Organization's recommended limit, one year after a similar smog. 2016-04-22 Former chair of the Intergovernmental Panel on Climate Change Rajendra K. Pachauri is to face a court in Delhi, India on charges of sexual harassment. Pachauri is accused of stalking, intimidation and sexual assault of a former employee. 2016-02-23 Water supply is restored to the Indian city of Delhi as repairs are made to the vital Munak canal after the Jat reservation agitation is resolved. 2016-02-20 Jat protesters shut down 70% of Delhi's water supply meaning the Indian city could run out of water by the end of the weekend. At least nine people are killed in fighting. 2015-09-17 Fourteen people have died of dengue fever in the Indian city of Delhi.